Get unlimited access You have only 5 articles remaining to view this month. Subscribe to Autosport Plus for just Â£1 for unlimited access. Or Register for free for an instant 10-article boost. 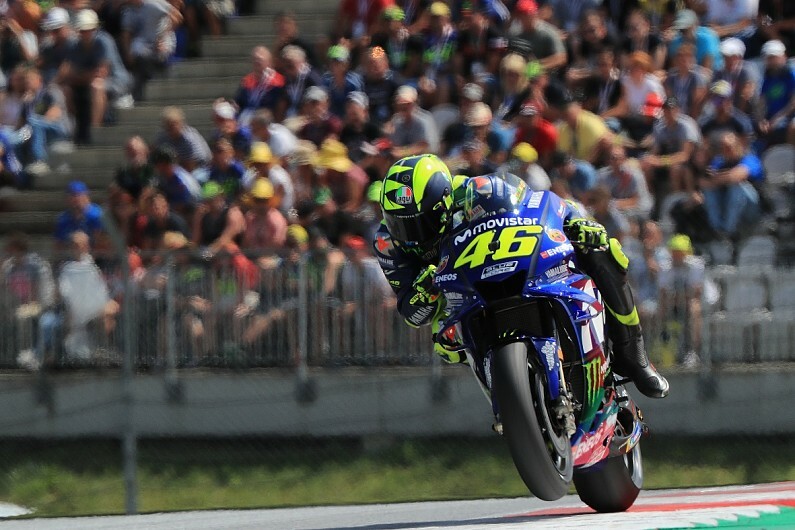 Yamaha MotoGP project leader Kouji Tsuya has apologised to Valentino Rossi and Maverick Vinales after a low-key qualifying in Austria. Vinales was more than a second off the pace in 11th, while Rossi was unable to advance from Q1 and will only start Sunday's race 14th. The Red Bull Ring circuit has accentuated Yamaha's long-standing issue on acceleration, which has been its biggest weakness in the last year. "We have to apologise to the riders becau se [we have] less performance, acceleration performance right now," said Tsuya. "Today was very difficult for us. We know this track is difficult for us, because we couldn't achieve the right power delivery for riders. So that is why it was maybe the worst qualifying result for us." Tsuya added that Vinales had struggled as a result of an additional sensor problem. "[With] Maverick today and also on Friday we have some sensor problem, a technical problem on our bike," said Tsuya. "We face [this in] FP1, and FP4 again so we destroyed Maverick's concentration too much. "So now we are seriously investigating how we can solve this problem for tomorrow, but I just want to say sorry to riders." Tsuya revealed Yamaha will have tests at Misano and Aragon before and after the upcoming Silverstone round respectively to try and hasten a fix. "Now we are working hard as ever to find a solution for t omorrow and also after this race," added Tsuya. "We have a test in Misano before Silverstone and also after Silverstone we have the test in Aragon as well to find the solution to these difficulties." When asked if Yamaha's apology was a sign the manufacturer was taking its bike issues more seriously, Rossi said: "I hope [so], because it's a very long time I've spoken to them about the same problem and after one year we have always the same problem. "I hope they give the maximum to fix it." The Italian added that he struggled more than he expected to at the Red Bull Ring. "I know that at this track we have to suffer this year, because maybe it's the worst track on the calendar, but I expected and hoped to suffer a bit less than this," he said. "I was also unlucky becaus e the only way to qualifying [directly for] Q2 was in FP1 and unfortunately in FP1 I broke the bike after three laps. "I wasn't able to make it to Q2 unfortunately and I will have to start from the fifth row. "That is very difficult and critical, especially here because the first three to four braking [zones] are difficult for everybody when you are in the pack."